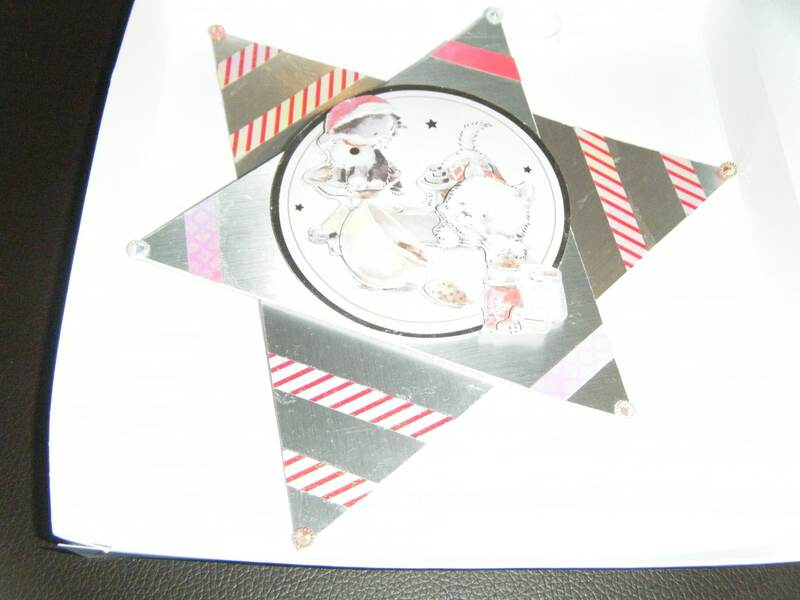 Handmade Star Decoupage Card In Box. Decoupage Design Is Cat And Dog Baking. Card Size Is 16.5 x 16.5cm.